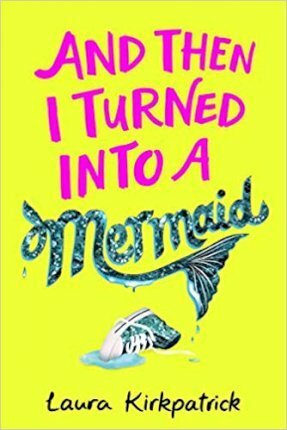 Molly Seabrook's dull seaside life is turned upside down when she turns 13 and is let in on the family secret: she's PART-MERMAID! While this does explain why her bonkers Mum is always skinny-dipping, Molly isn't exactly thrilled. She already has to dress as a haddock to promote the family fish 'n' chip shop, and now this? Growing up is hard enough without sprouting a fish tail in Double Maths, or disguising your gills from the cute boy at the ice cream kiosk. Join Molly as she navigates the stormy sea of social awkwardness, best friend fallouts and the World's Most Embarrassing Family - all while attempting to hide her (Very Weird) new double identity. Will she sink or swim? You'll have to wait and SEA . . . The first in a hilarious new series about family, friendship and one BIG fishy secret. Laura Kirkpatrick is part-mermaid, part-children's author living in northern England. Her favourite things are white chocolate, beach walks with her puppy, and hiding her tail from prying humans.